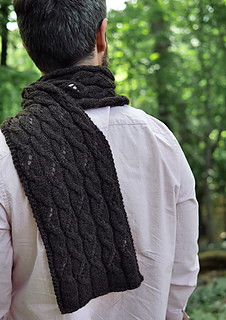 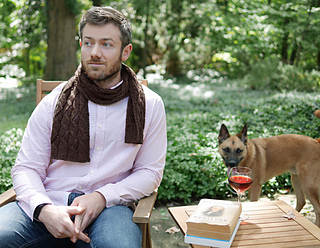 This handsome scarf or wrap features a lively cable and openwork motif to provide a cozy barrier between you and the cold when fall and winter winds roar. 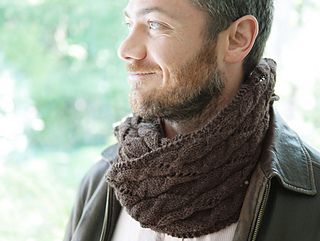 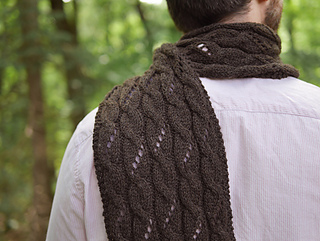 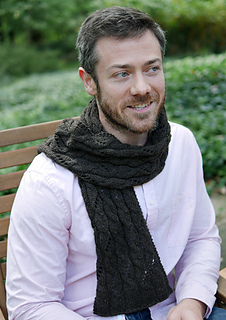 The instructions include two options for the main motif for more or less openwork and two sizes (scarf/wrap), but are easily adjusted for a longer or wider piece. 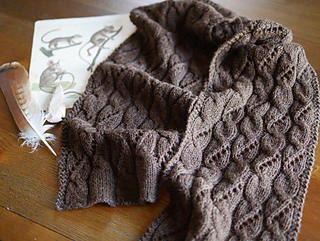 The simple pattern is very approachable for novices, but also engaging and fun for experienced knitters when a quick gift or TV project is called for. 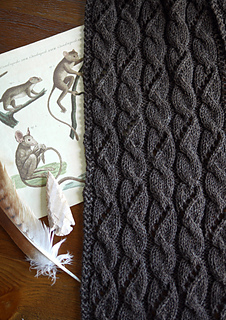 Work in a smooth yarn as shown here for greater depth and stitch definition or choose a soft, fluffy yarn for a lighter-than-air result. 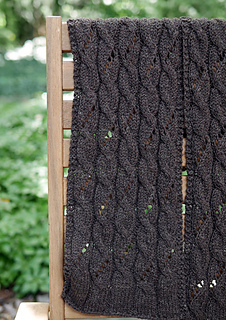 Substituting yarn and/or needles may result in an overall variation in size, drape, and yardage requirement.